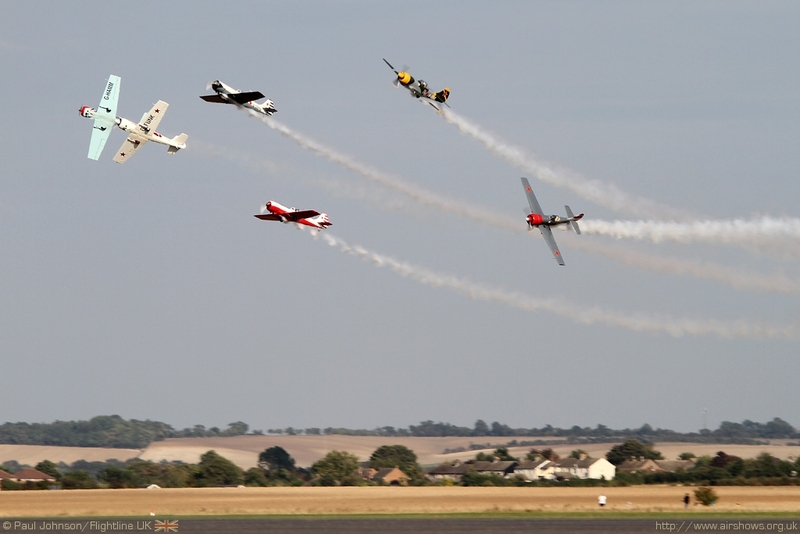 The September Airshow at Duxford is the largest of the more general airshows held each year at the Cambridgeshire airfield. 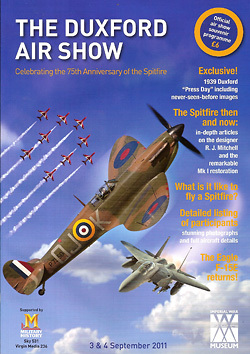 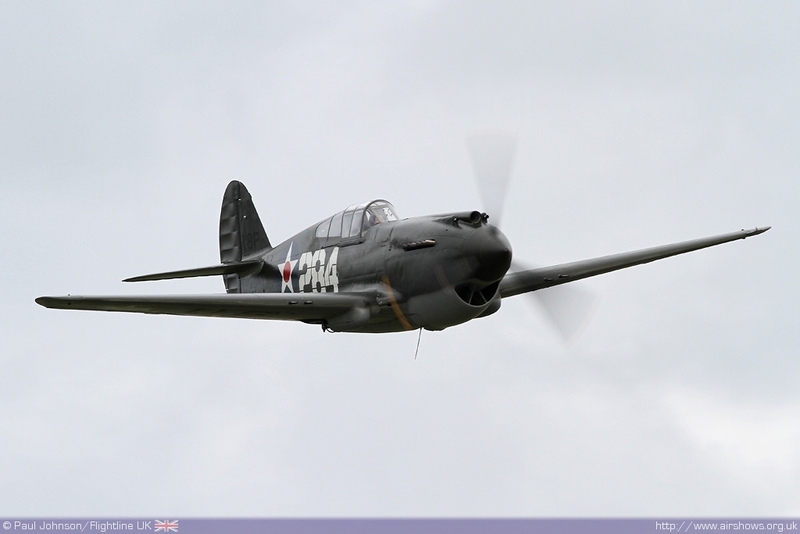 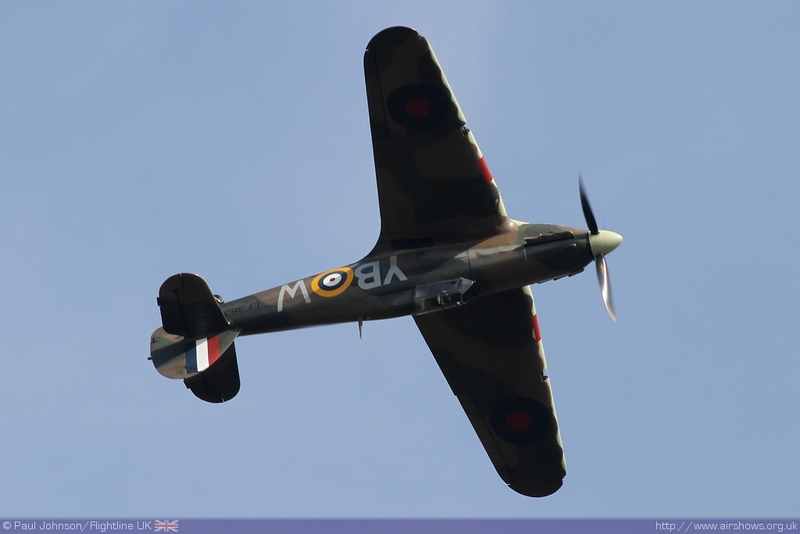 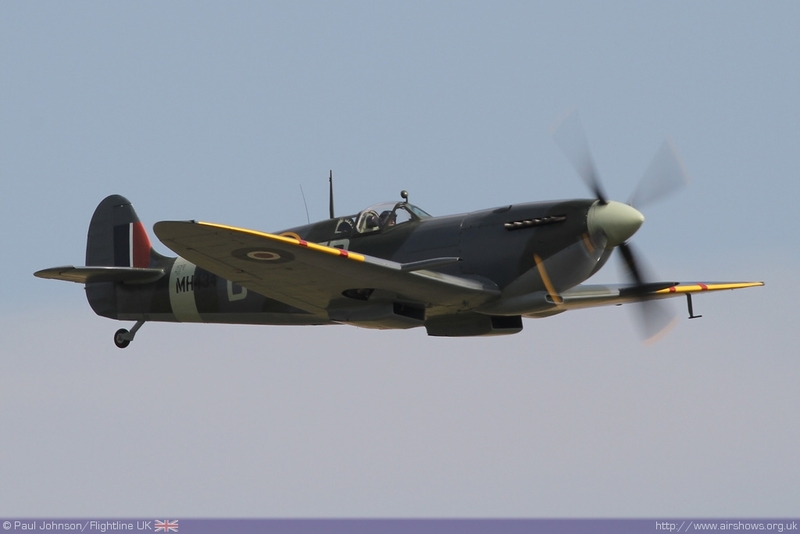 This year, the show’s main theme was the 75th Anniversary of the Spitfire’s first flight in March 1936 but the show also encompassed some other very different flying displays. 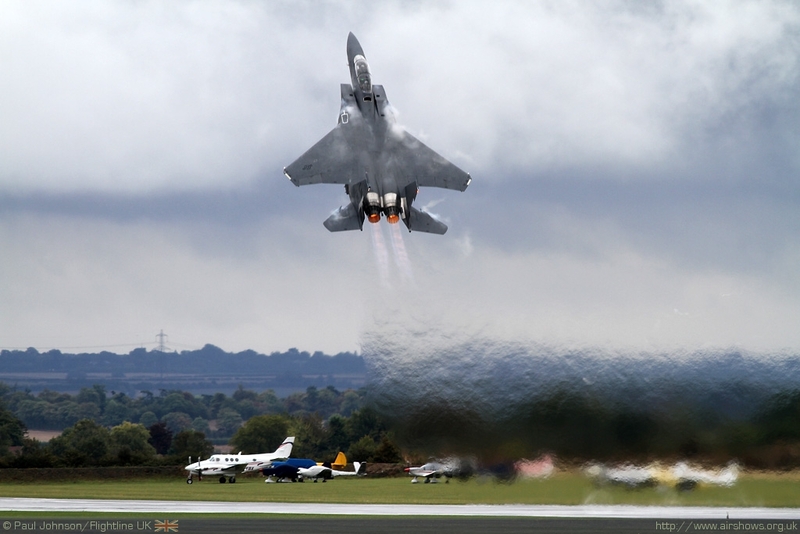 By far the biggest attraction other than the Spitfires for many was a rare European appearance by the United States Air Force F-15E Strike Eagle demo team who were at the show celebrating the ‘Eagle Squadrons’ that served with the RAF before the US fully entered the second world war. 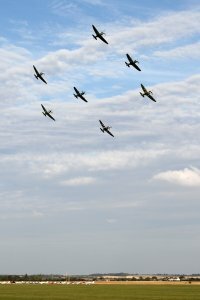 In 2010, we were thoroughly spoilt at Duxford by the magnificent “Battle of Britain Airshow” which showcases an unforgettable formation of 16 Spitfires to close the show. 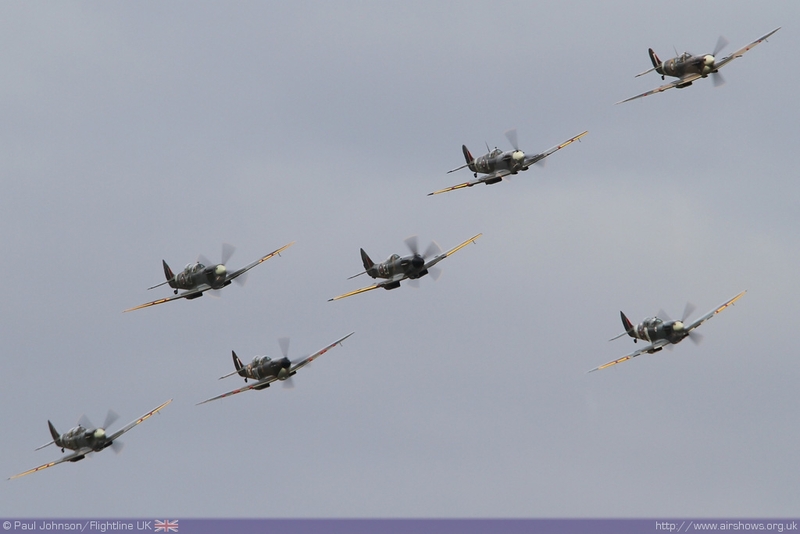 In celebrating that types own 75th anniversary, Duxford only managed a formation 7 Spitfire to close the flying in 2011 but it was no less emotive or spectacular. 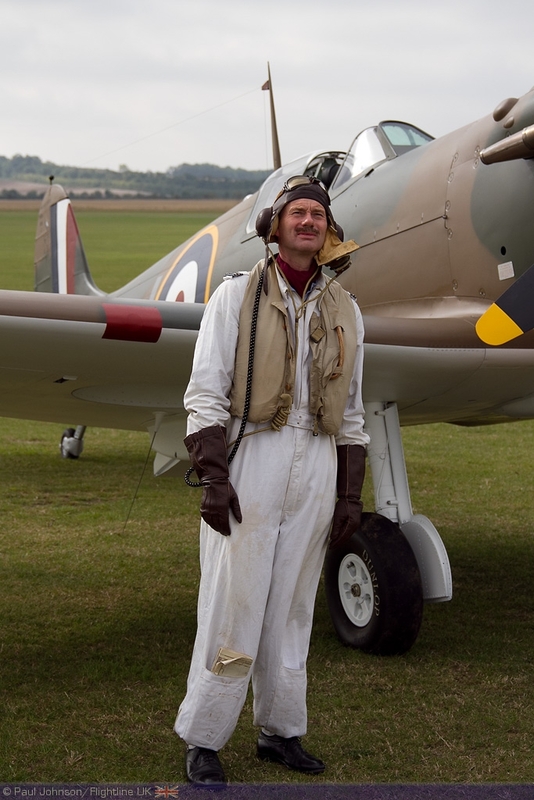 Who from those who saw the types first few flights from Duxford with 19 Squadron before the second world war could have imagine the types would still be filling skies over the Cambridgeshire airfield over 70 years later? 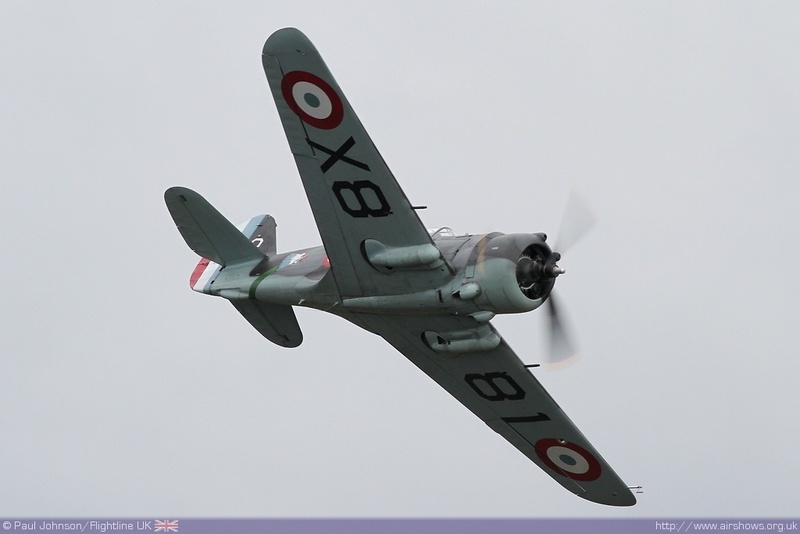 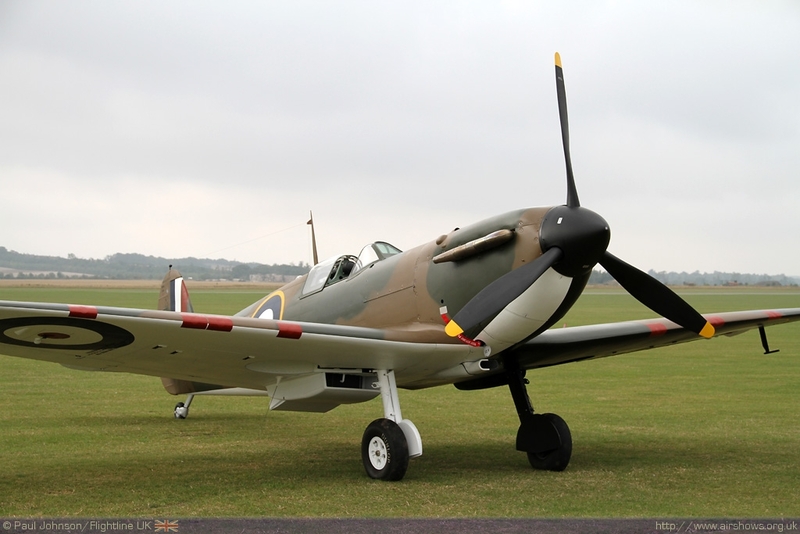 In recent years, Duxford has managed to attract some significant foreign military participation to help celebrate some of its more significant anniversaries. 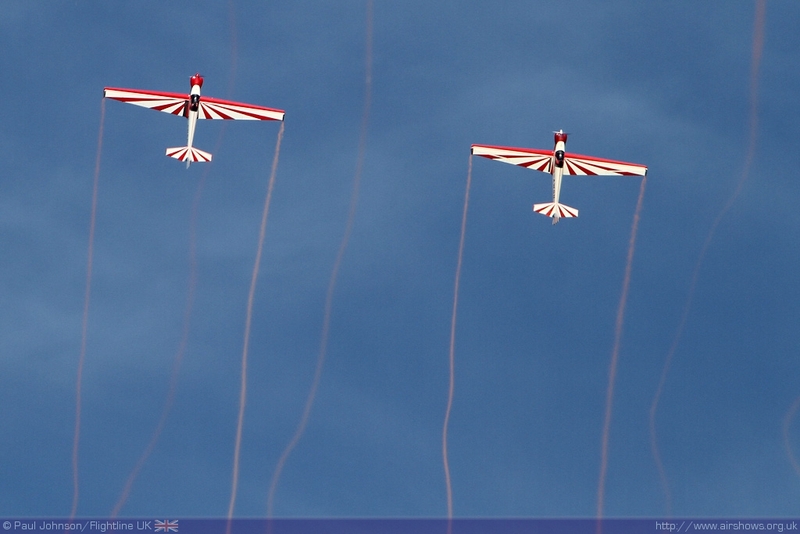 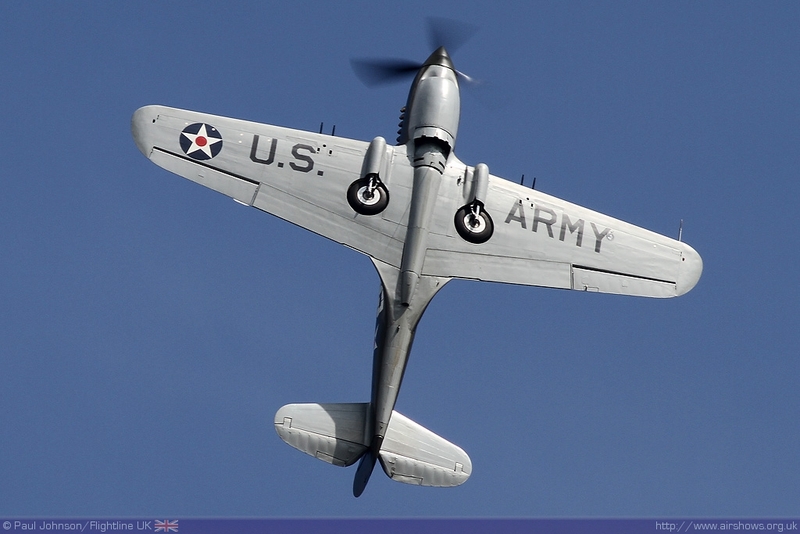 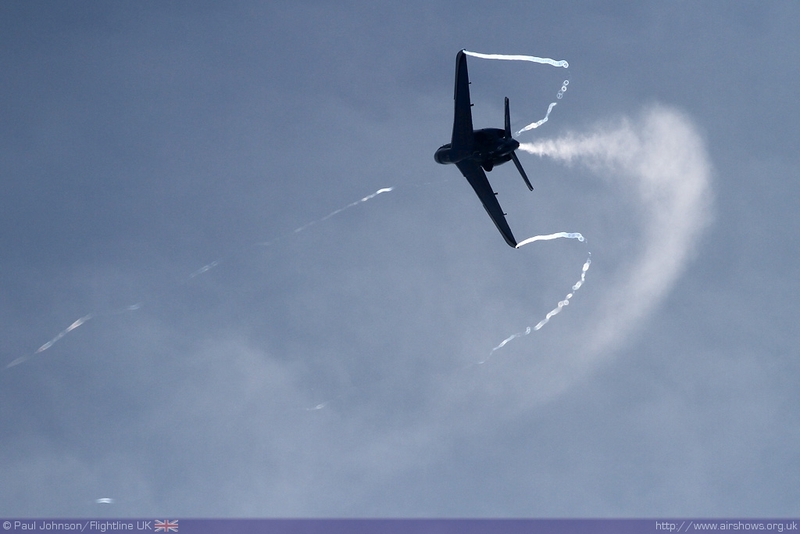 2011’s September show was no different with participants on static display and in the air. 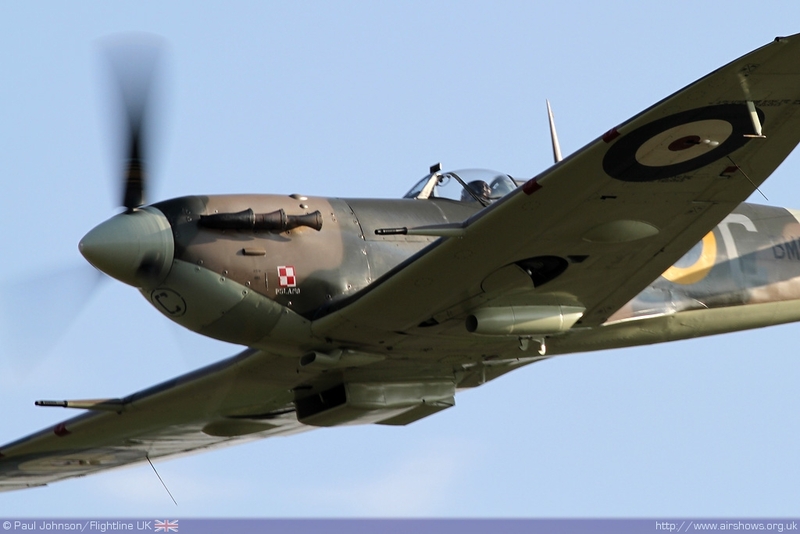 The Polish are perhaps one of the most famous users of the Spitfire when their airmen joined the RAF following the invasion of their country. 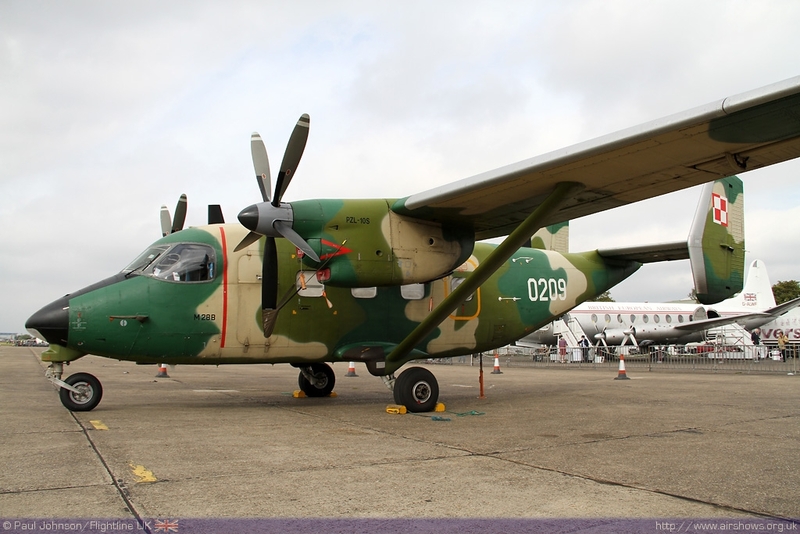 On static display, Duxford welcomed a Polish Air Force Antonov An-28 wearing some very distinctive camouflage. 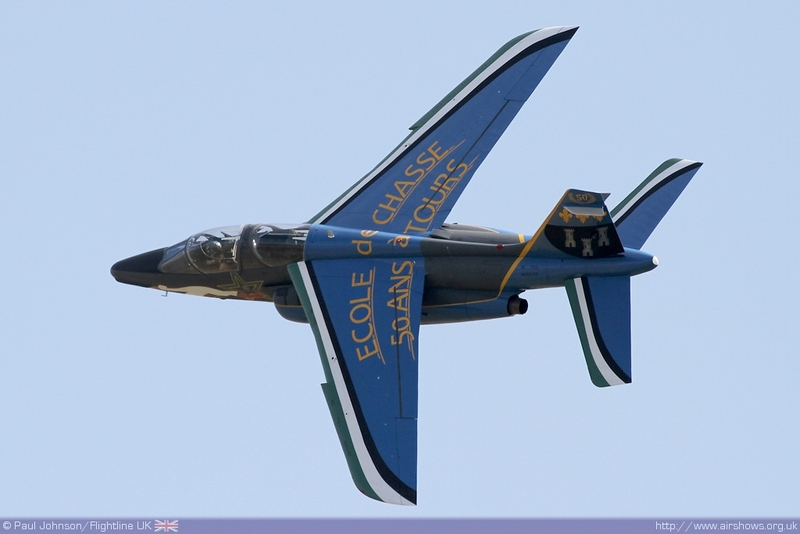 Saturday’s flying display was opened by the French Air Force with their solo Dassault Alpha Jet display. 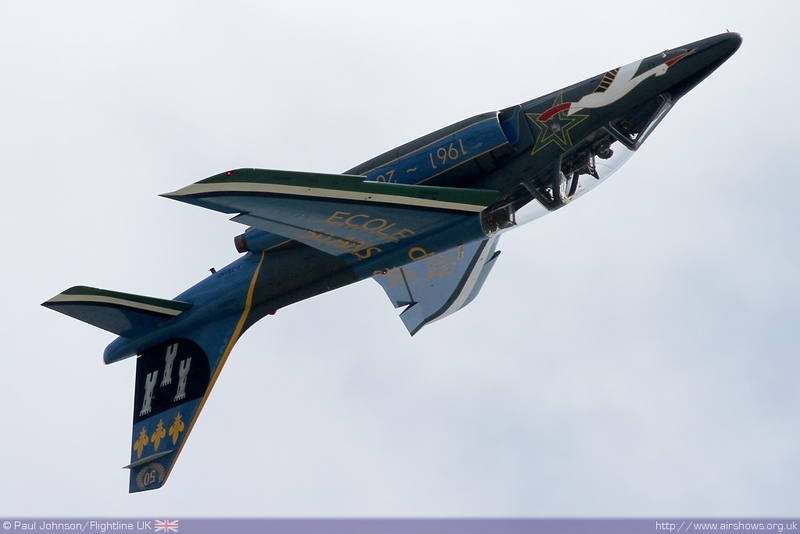 The Alpha Jet is always an impressive performer able to achieve a number of aerobatic figures that other similar jets don’t seem able to manage including a rolling turn! But as touched on earlier, the star turn was an appearance by the United States Air Force F-15E Strike Eagle Demo Team on both days of the show. 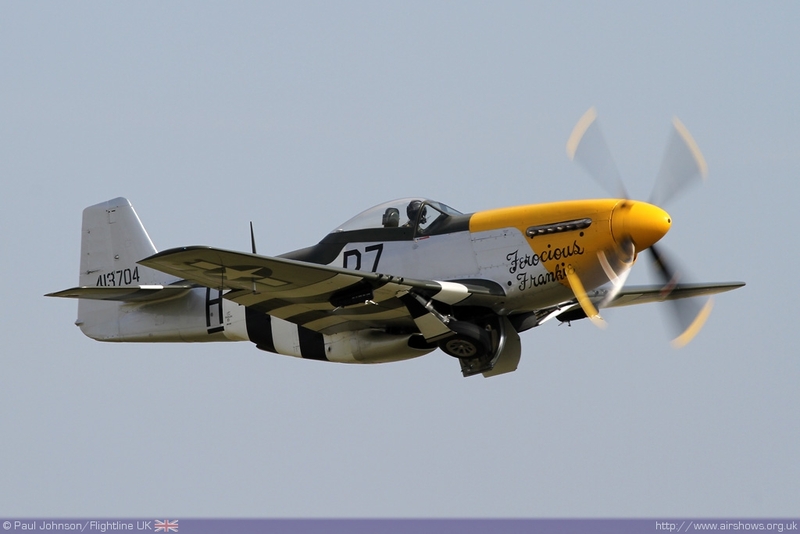 The team were in Europe as part of a small tour that took them to the MAKS Airshow in Moscow and to Duxford borrowing a jet from the 48th Fighter Wing based at RAF Lakenheath. 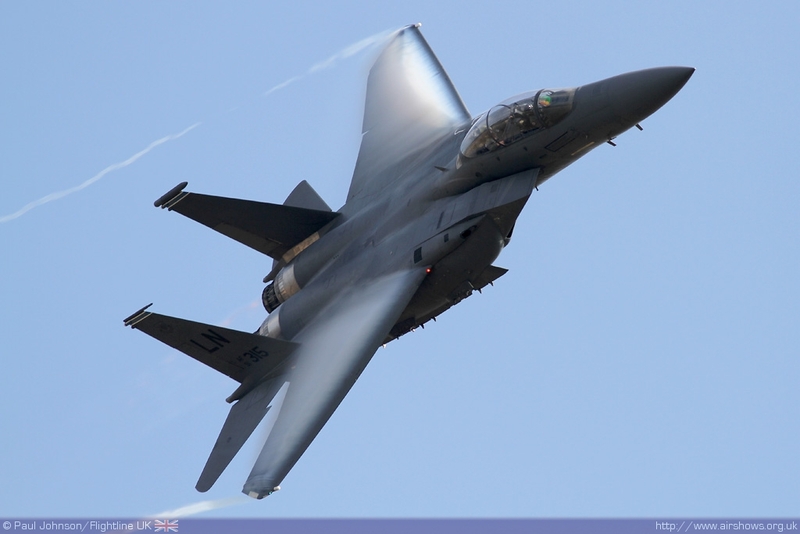 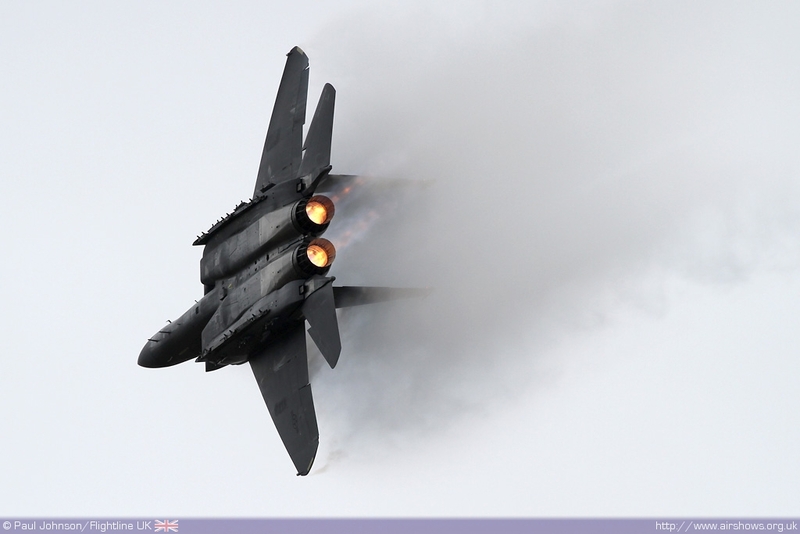 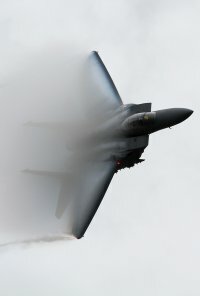 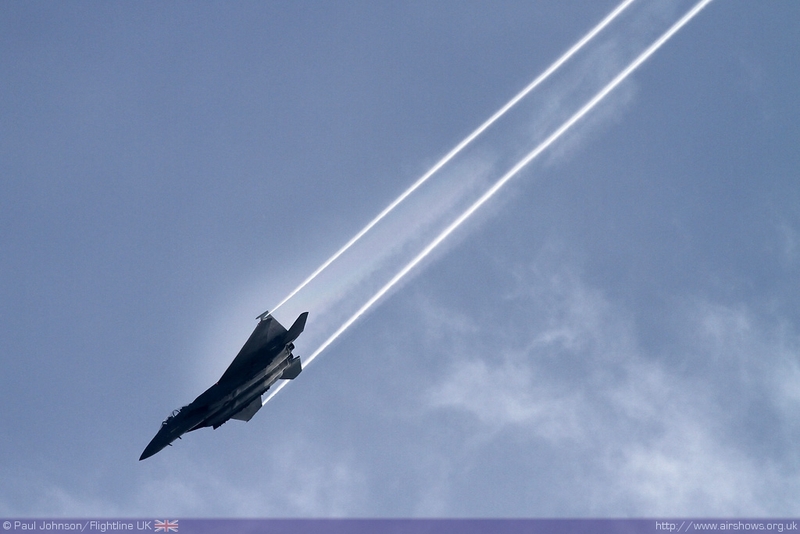 Though the mighty F-15 is a regular sight over East Anglia, a full-on display by the type is a very rare occurrence as there are no display crews based outside the US. 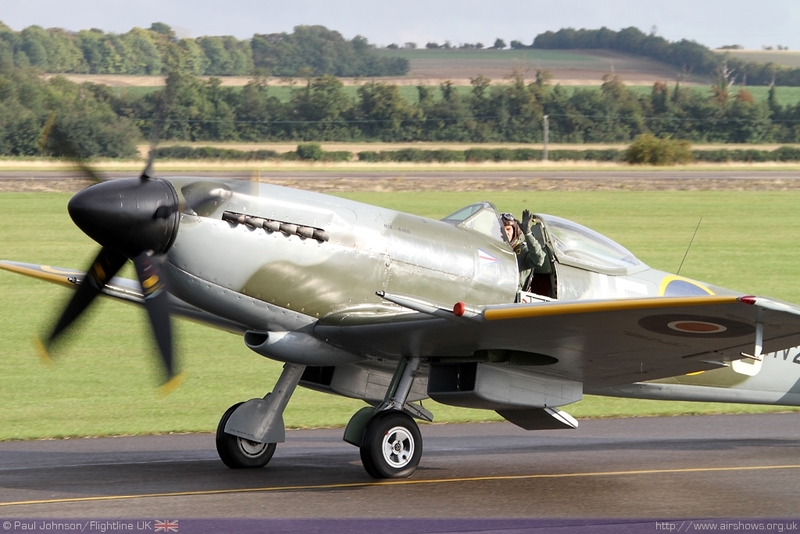 It was certainly a head turning display making plenty of noise and putting on some spectacular passes. 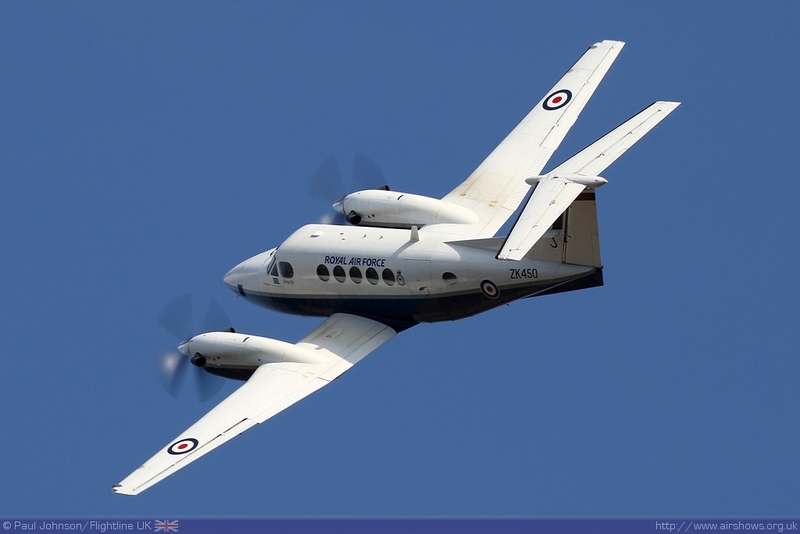 The modern day Royal Air Force contribution was a little lower key than usual due to some other airshow commitments in Northern Ireland and elsewhere. The planned display by the Red Arrows was withdrawn due to the funeral of Flt Lt Jon Egging following the tragic accident at Bournemouth Airport. 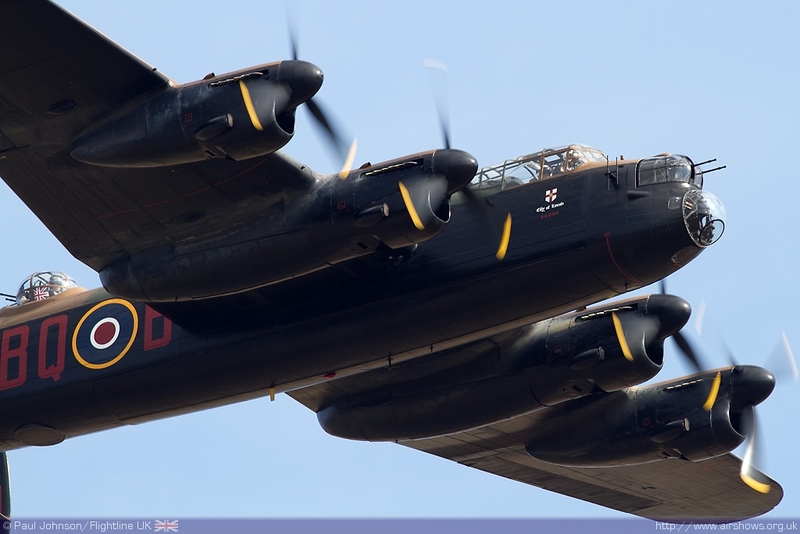 It was therefore left to the Battle of Britain Memorial Flight to headline the RAF’s involvement in the show with the full complement of Lancaster, Spitfire IX and Hurricane IIc appearing over the two days and landing on after their arrival on Saturday – it has been a long time since weather conditions have allowed the Lancaster to land at Duxford. 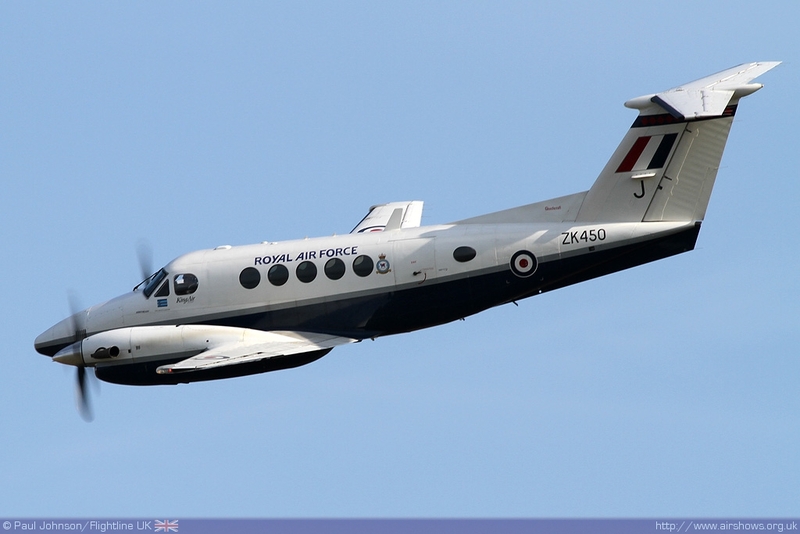 The only regular solo display from the RAF was the King Air B200 flown by Flt Lt Leon Creese which was making its first appearance as part of Duxford flying display. 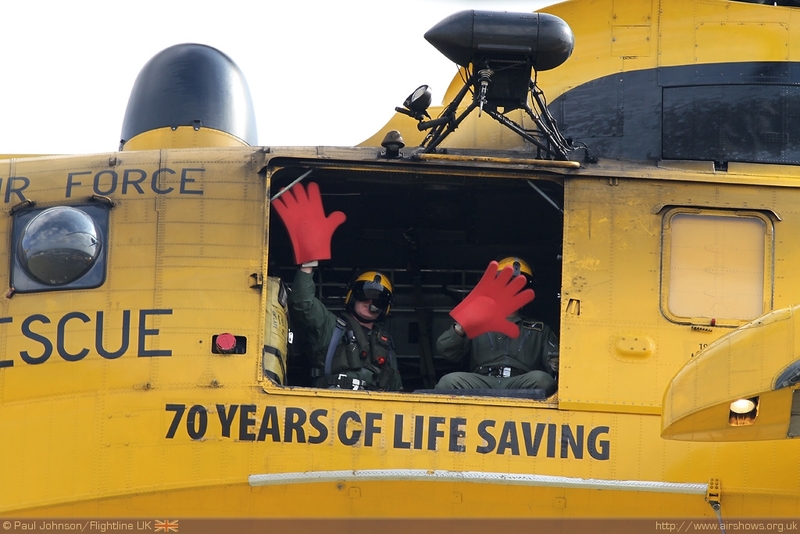 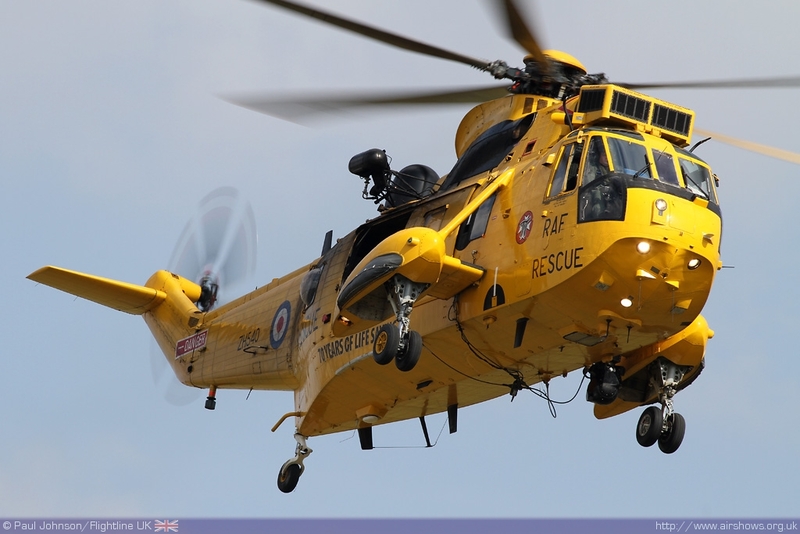 Joining the King Air was a Search and Rescue display from a Wattisham based Sea King HAR3A. 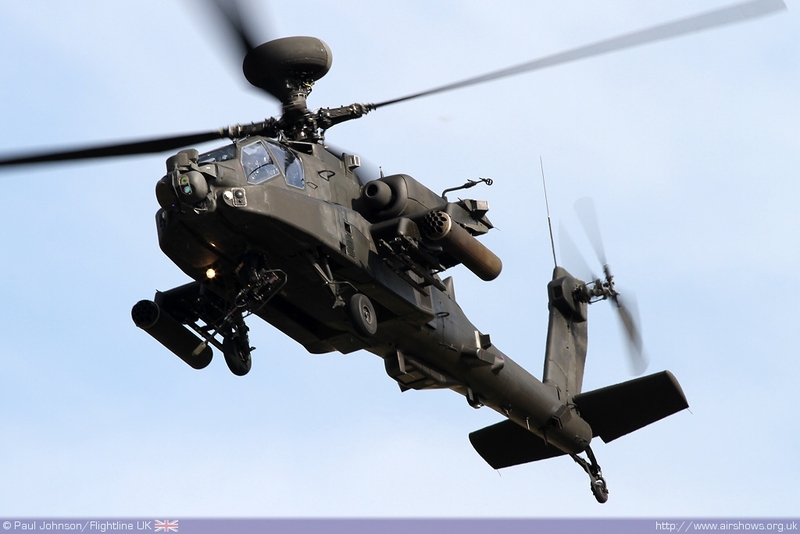 Also from Wattisham was the solo Blue Eagles Apache AH1 display which was making of very few appearance in 2011 at the show. 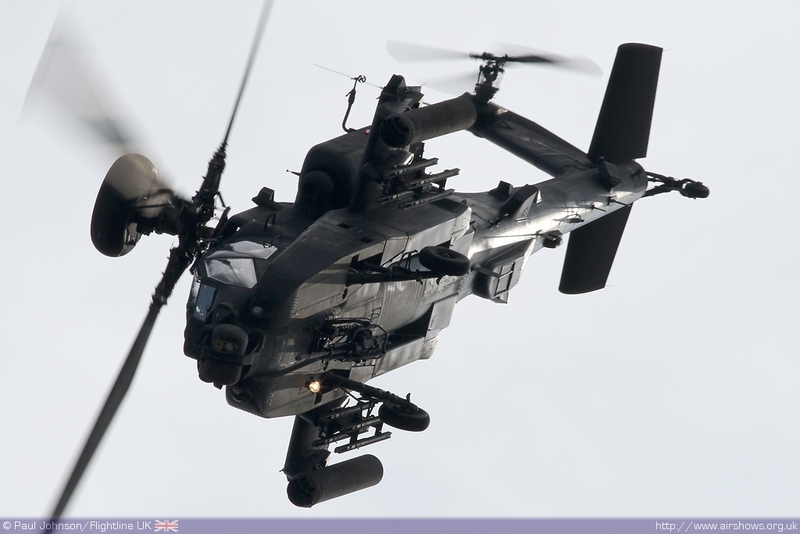 Hopefully more appearances will be possible next year as the Apache is always an impressive performer. 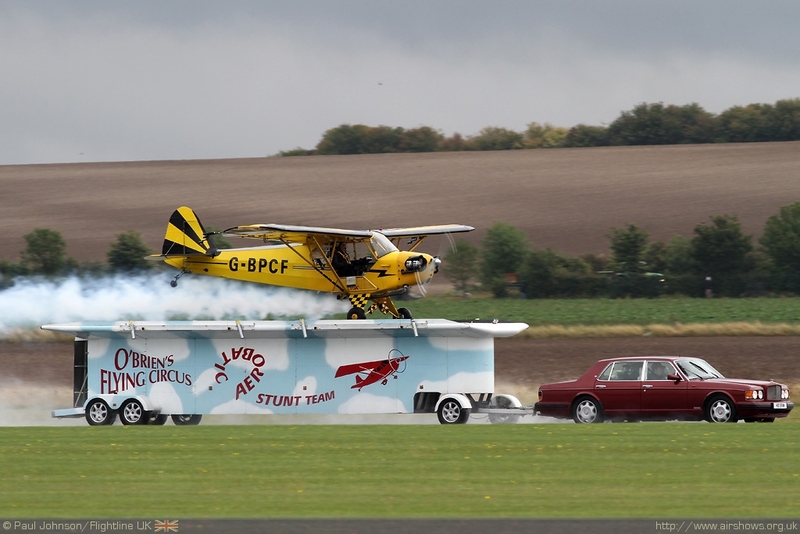 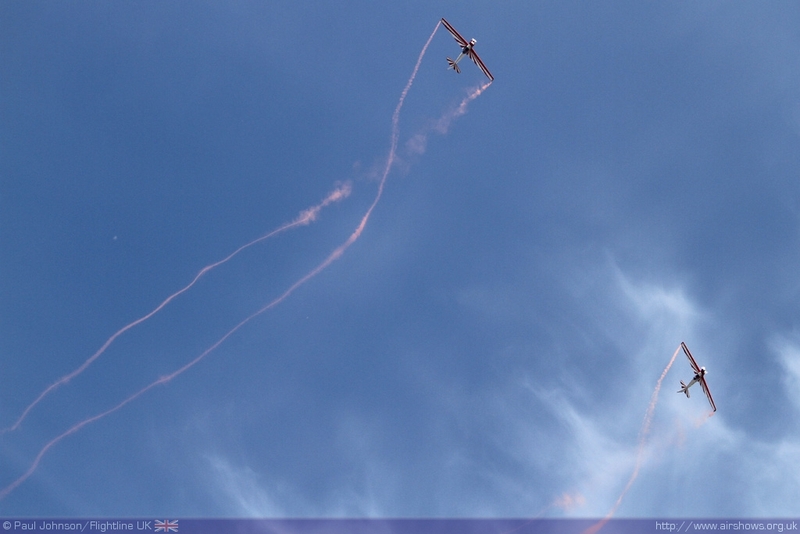 As well as all the military performers, Duxford managed to fit in an impressive mix of civilian acts. 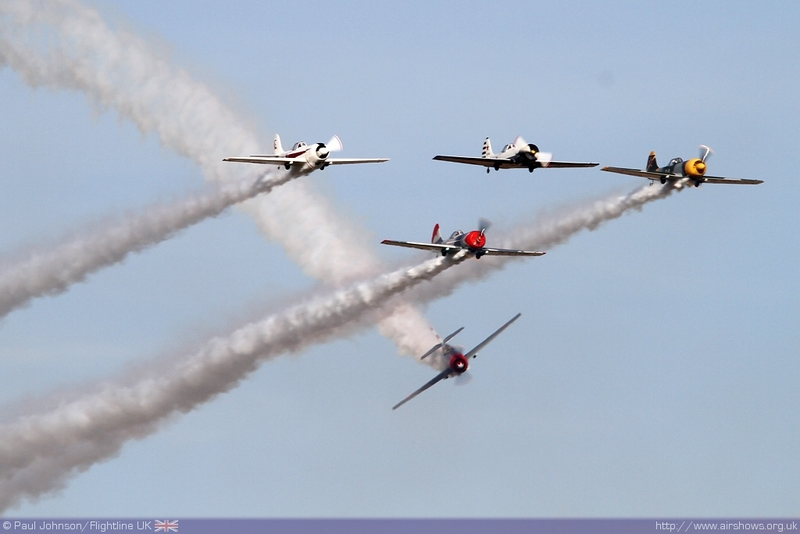 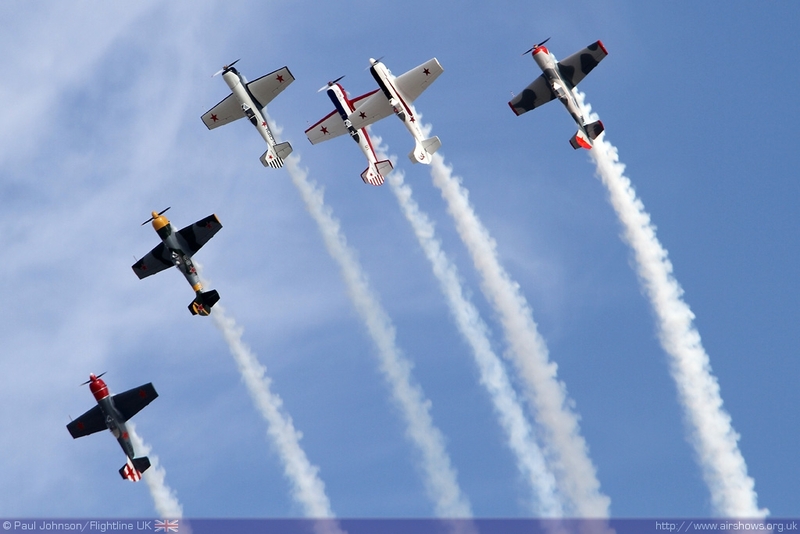 The Aerostars picked up the mantle of Duxford’s big formation aerobatic display for the weekend with their six Yakovlev Yak-50s while other acts included the SWIP Team, Redhawks Fournier Duo and O’Brien’s Flying Circus. 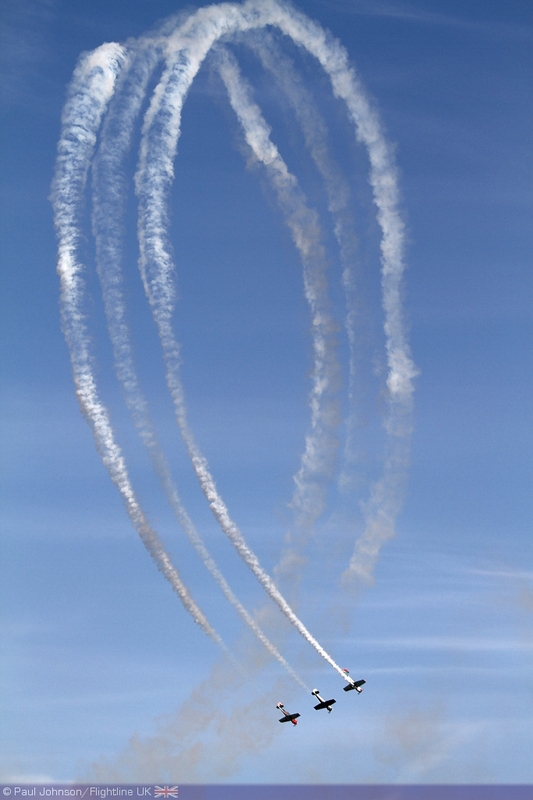 Apart from the Aerostars and the SWIP Team, the civilian display items wither appeared on the Saturday or the Sunday which added a little further variety for those visiting on both days. 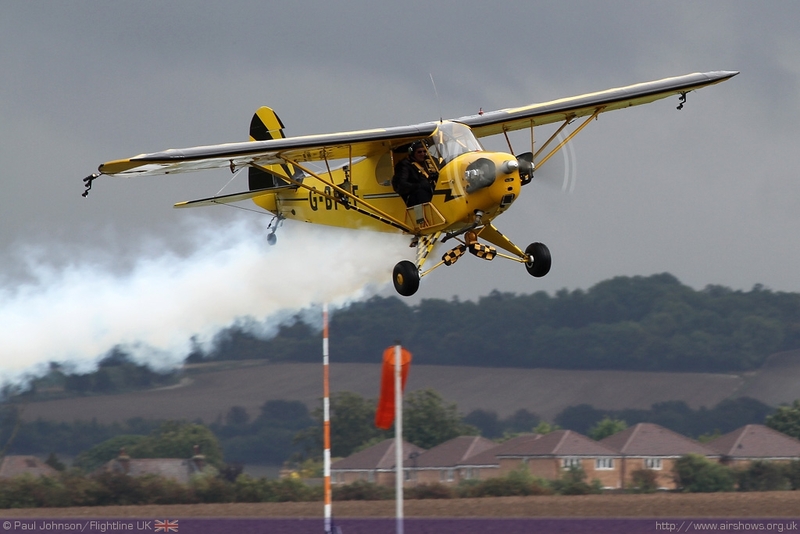 Special mention must be made of the Aerostars who performed in some poor conditions at the beginning of Sunday's display in the heaviest of the downpours. 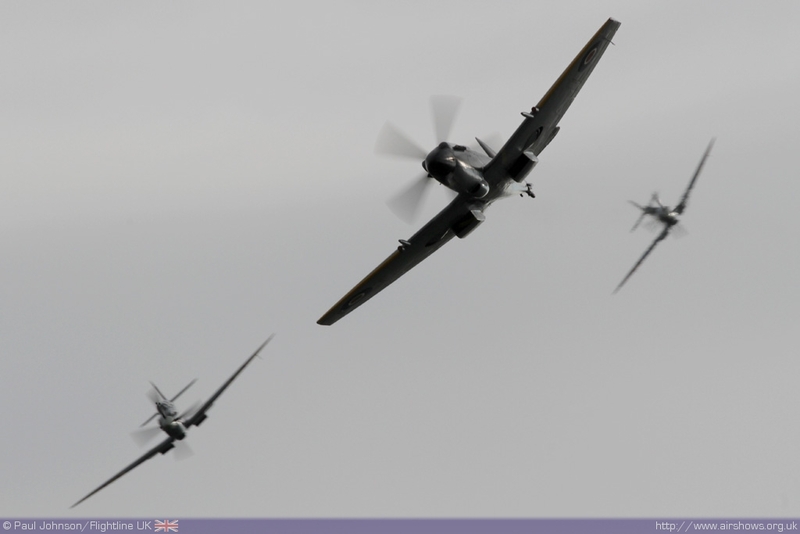 However, it is the historic elements that always make Duxford’s shows stand out. 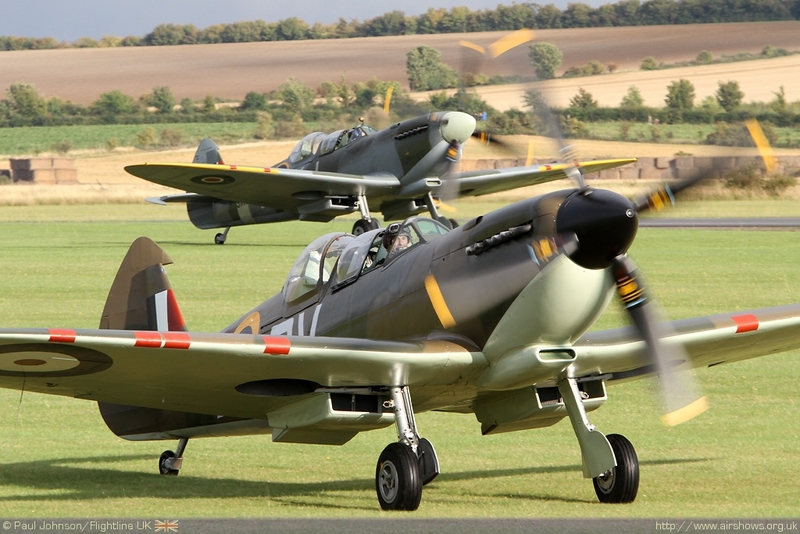 Two significant types made their debut at Duxford, albeit only on the ground. 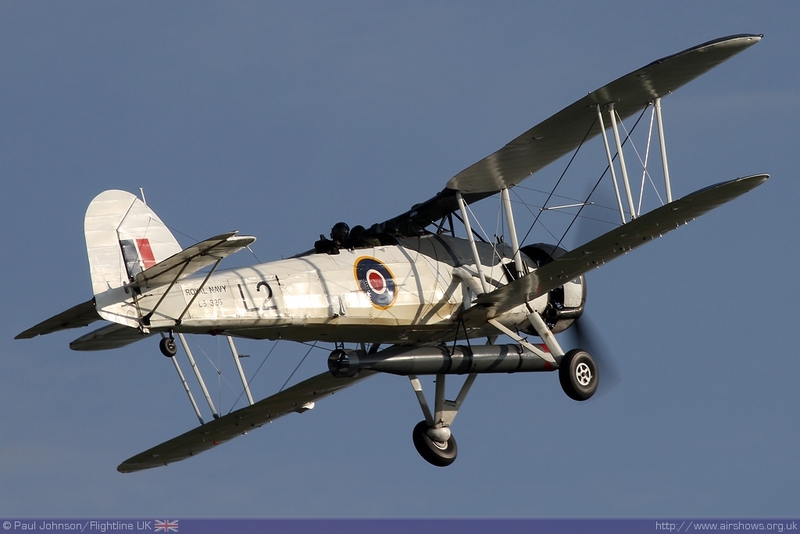 Looking absolutely magnificent in the late summer sunshine was the Historic Aircraft Collection’s Hawker Fury making its first official appearance in public. 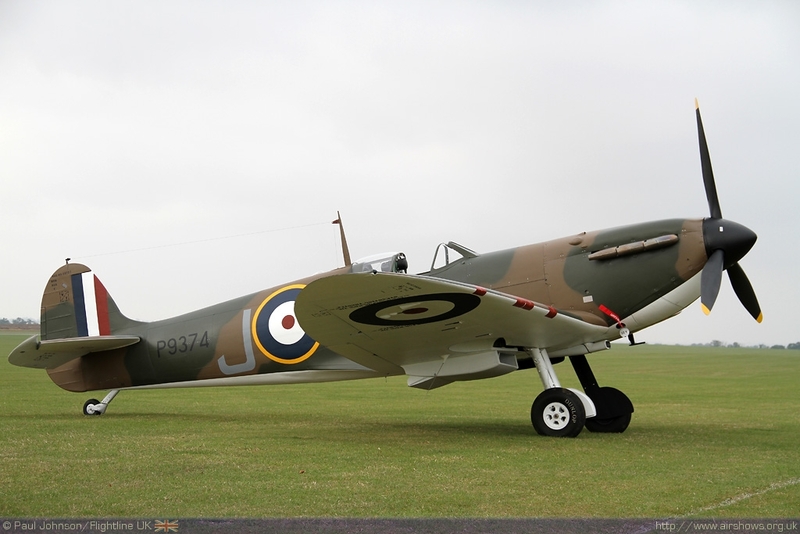 Next to it was the first of the Spitfire MkIs to appear from the ‘Hangar 51” complex at the eastern end of Duxford Airfield. 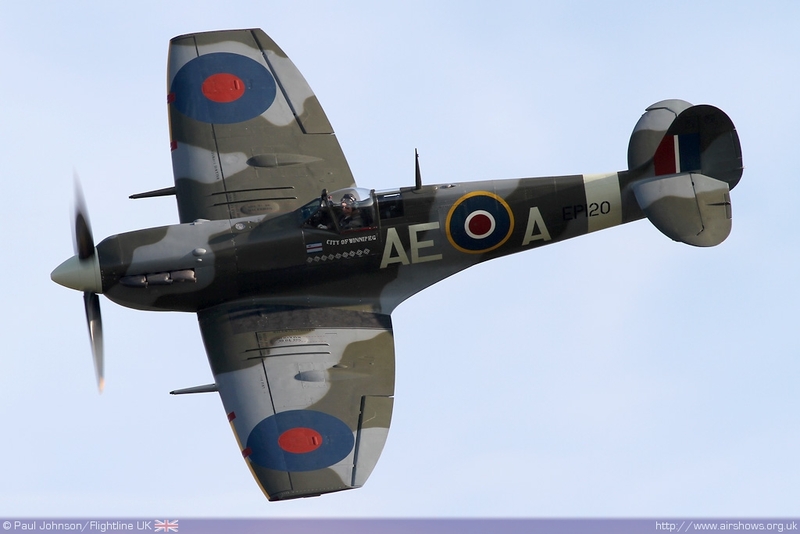 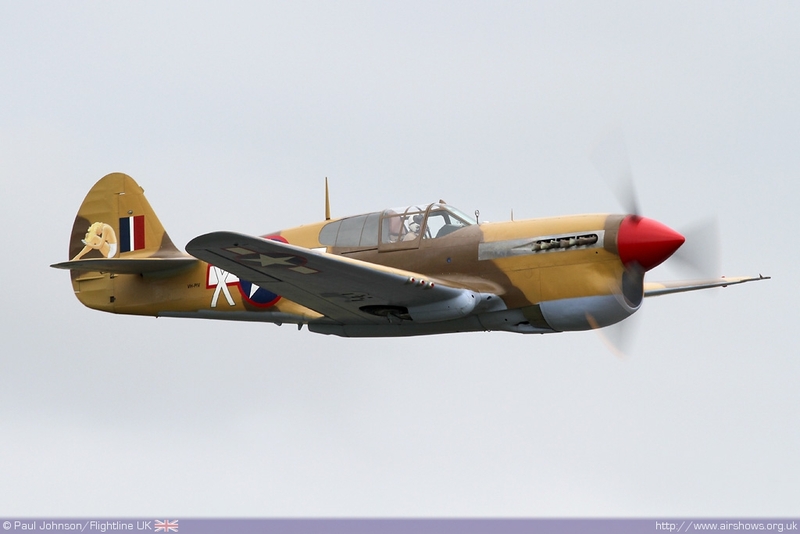 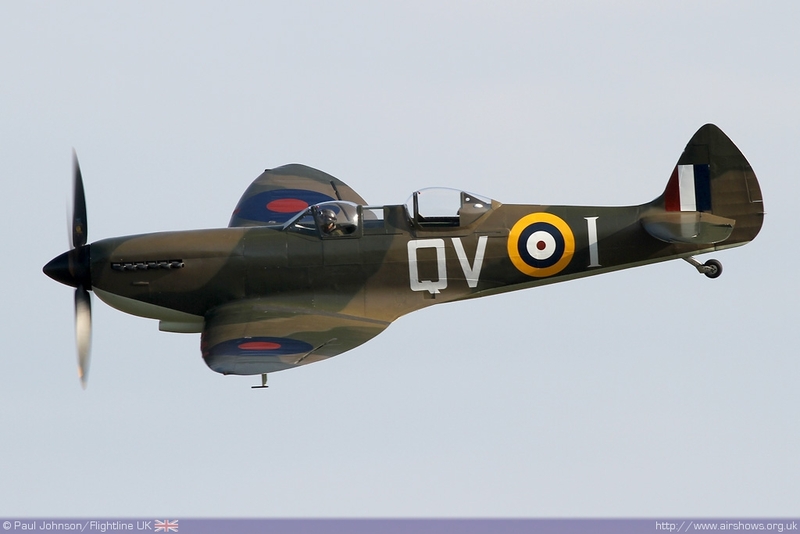 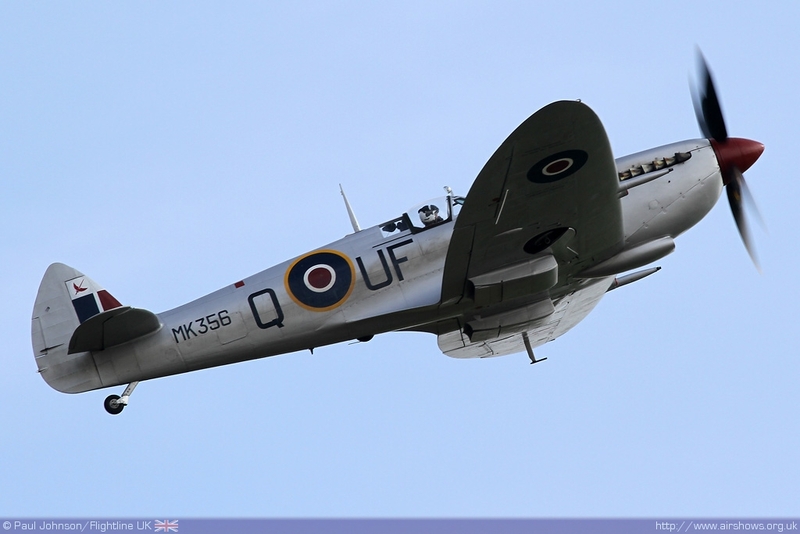 There are a number of these early Spitfires due to appear in the next few years. 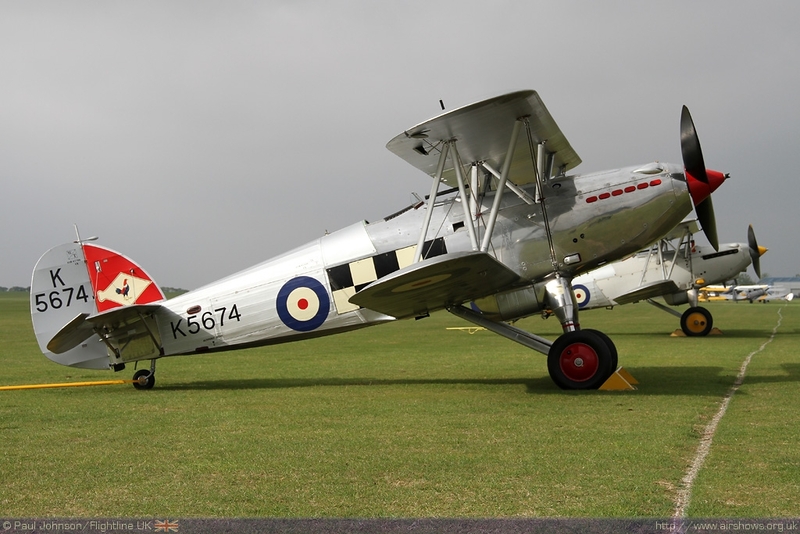 In the air, there was a wonderful duo of Hawker Nimrods from the Fighter Collection and the Historic Aircraft Collection. 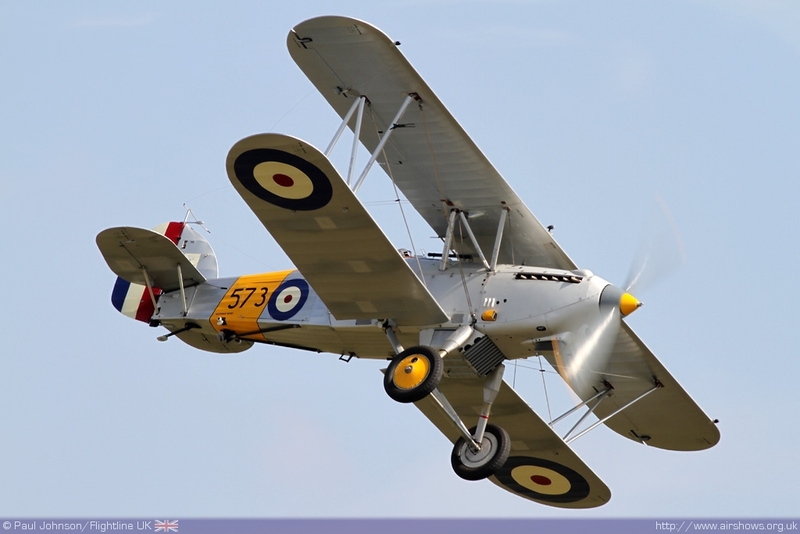 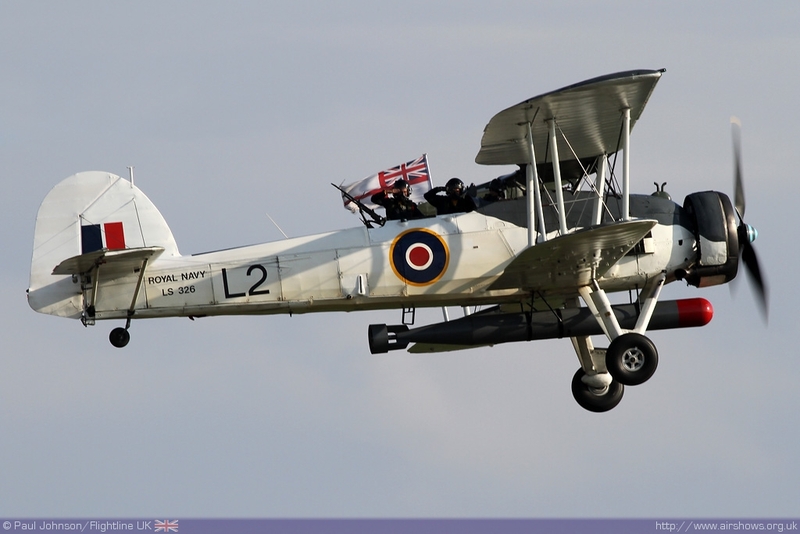 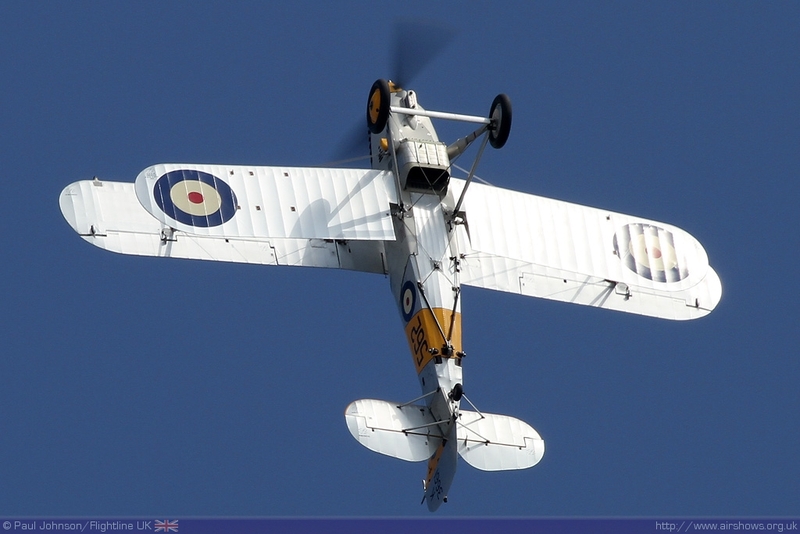 Further and slightly more recent Royal Navy airpower was represented by the RNHF’s Fairey Swordfish. 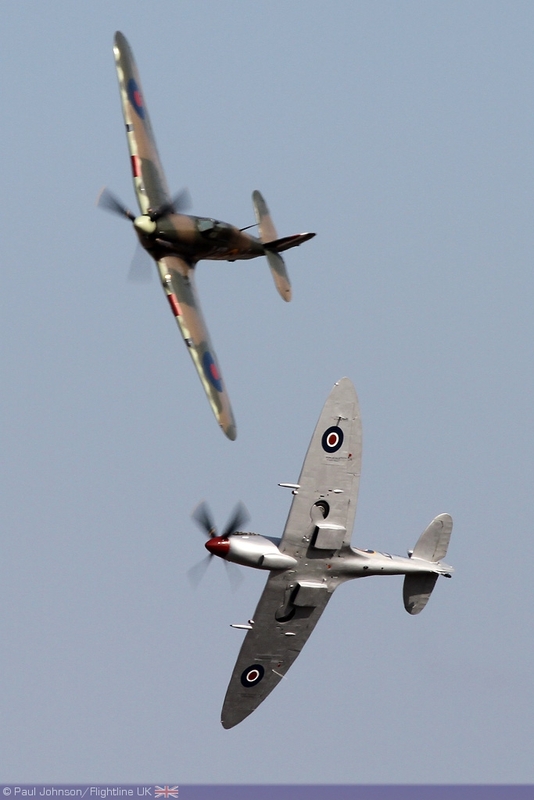 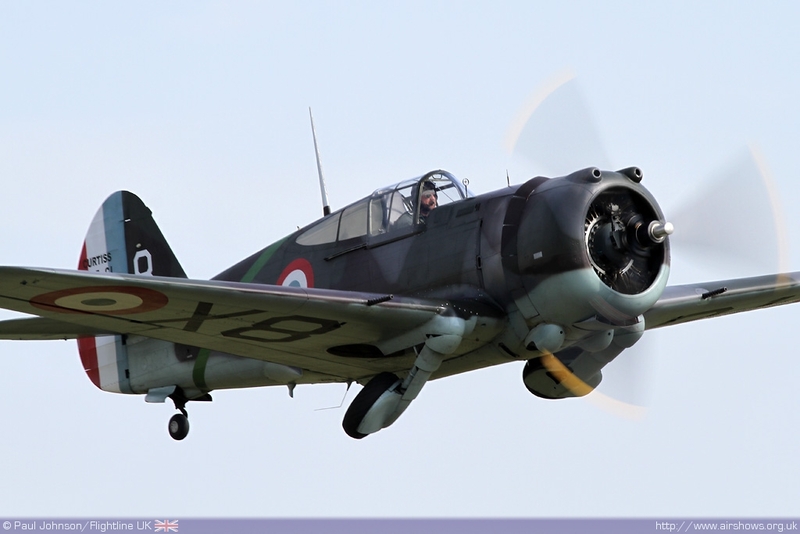 The airshow may have celebrated the 75th anniversary of the Spitfire, but the flying displays did not forget some of the other types involved in the Battle of Britain. 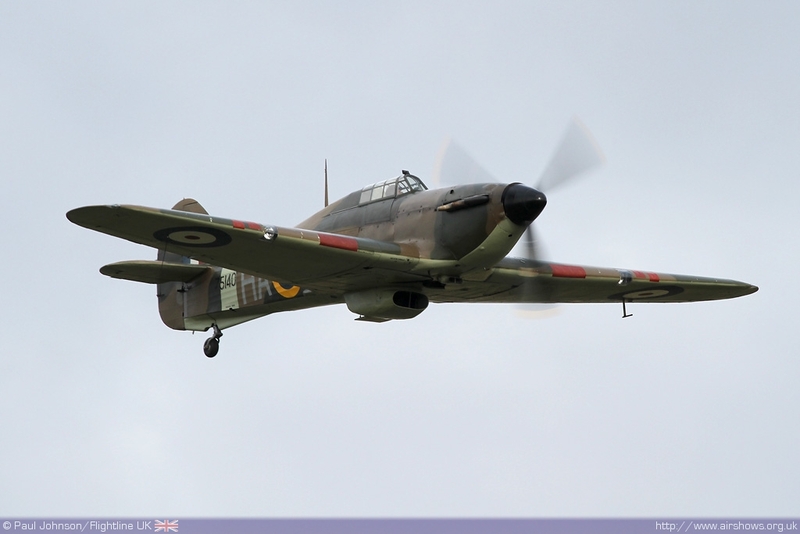 HAC’s Hawker Hurricane flew on the Sunday to join with ARCo’s superb Hispano HA-1112-MIL Buchon (Me109) for a superb tail-chase in Sunday’s early evening sunshine. 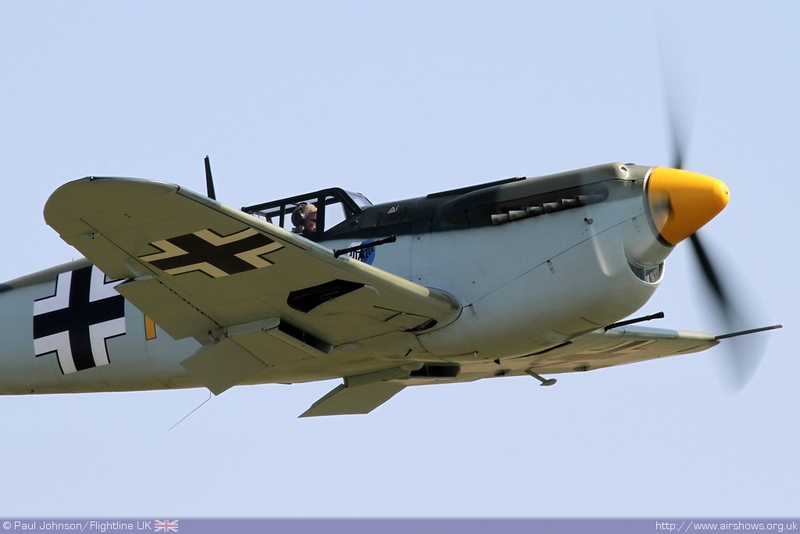 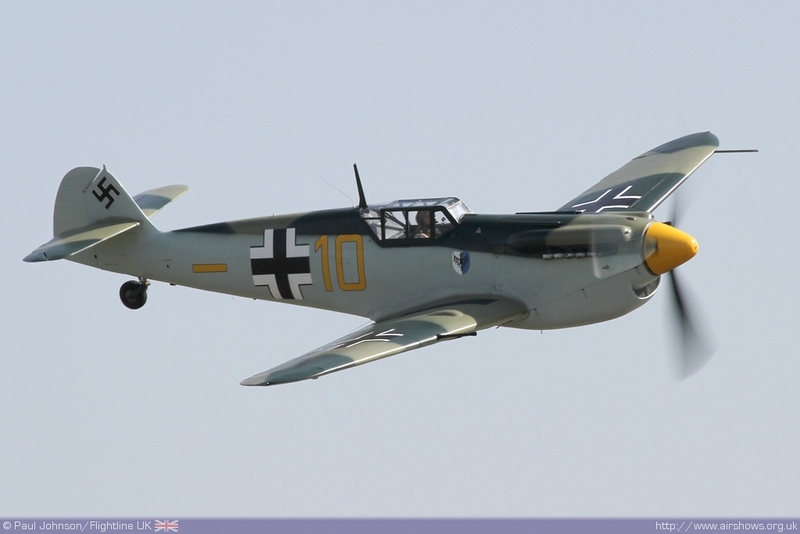 Saturday saw the Buchon display as a solo item only. 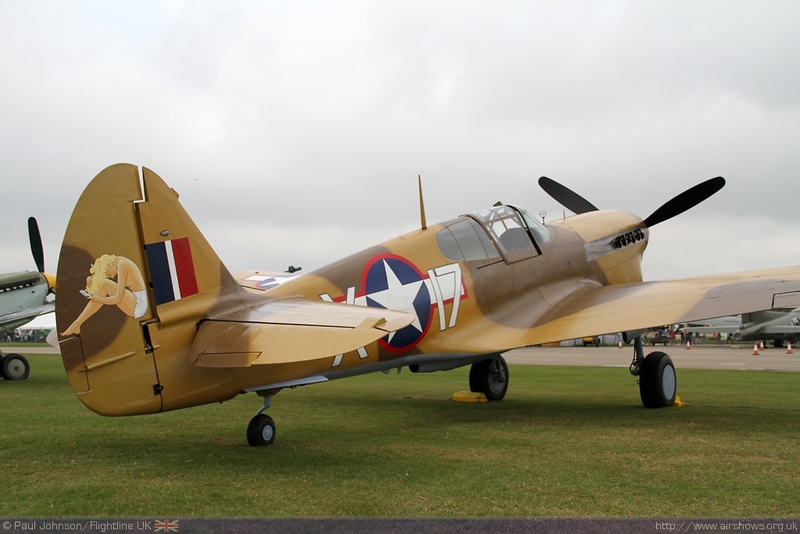 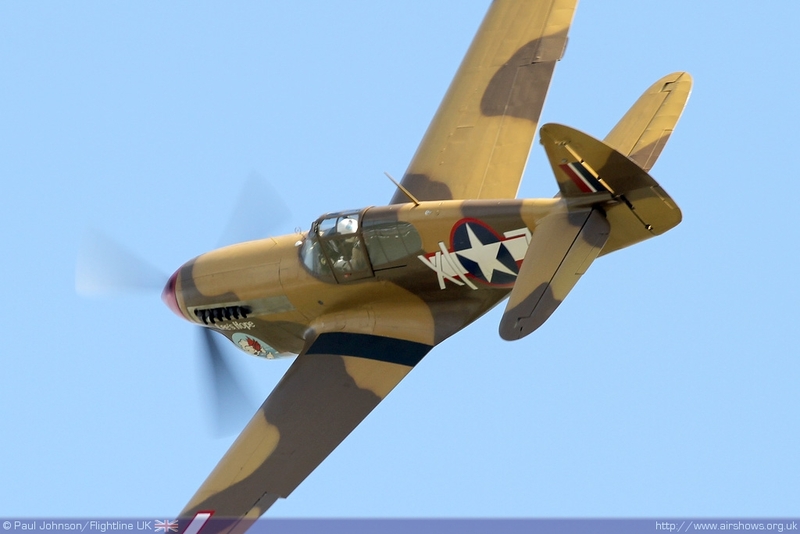 The Fighter Collection also displayed their own trilogy of Curtiss Hawks with the Hawk 75A, P-40B Warhawk and their latest addition the Merlin powered P-40F Warhawk. 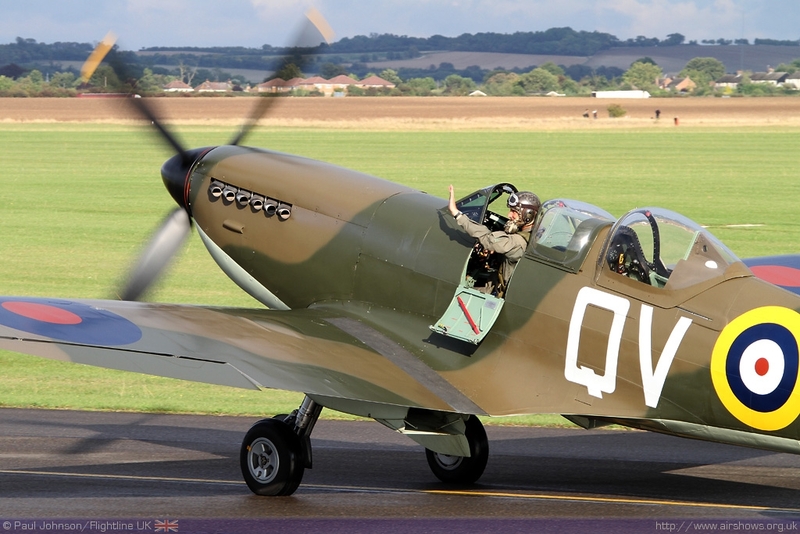 The latter was flown in fine style by the ‘governor’ Stephen Grey in it's first show after Flying Legends where it made it's airshow debut. 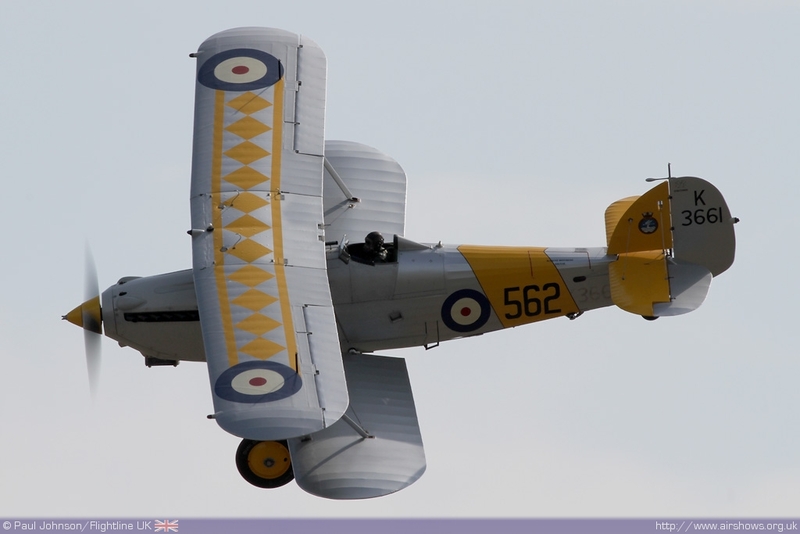 Further work has been made on the aircraft since July and it now sports some rather eye catching tail art on the starboard side of the rudder. 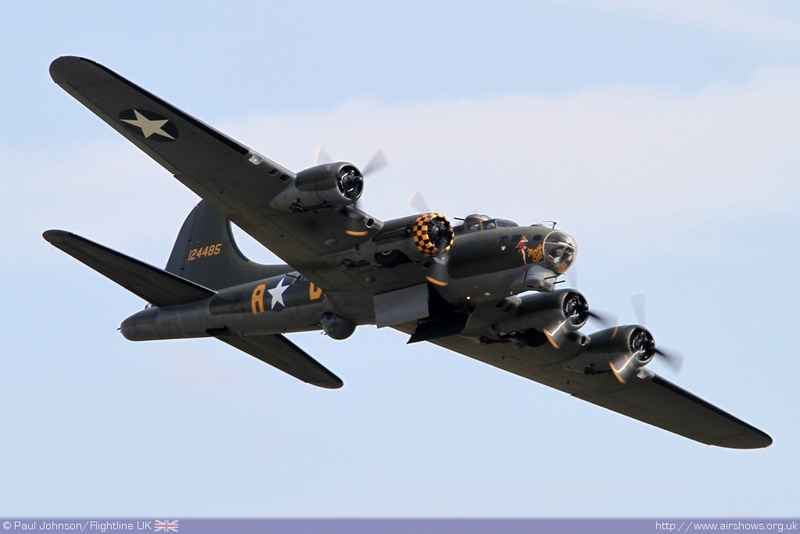 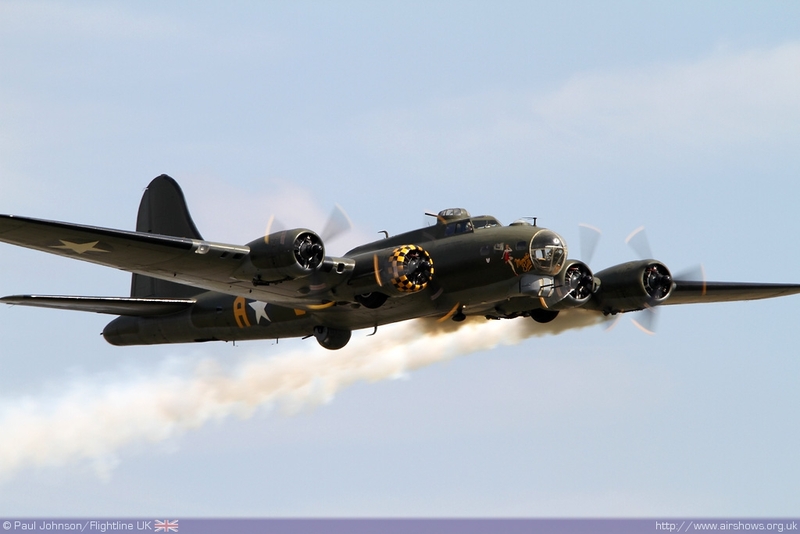 As well as the BBMF’s Lancaster, the World War Two bombing campaign was also marked by the home based B-17G Flying Fortress Sally-B which is always a popular item at Duxford airshows where it represents the exploits of the USAAF bombers crews during the daylight bombing campaigns during the Second World War. 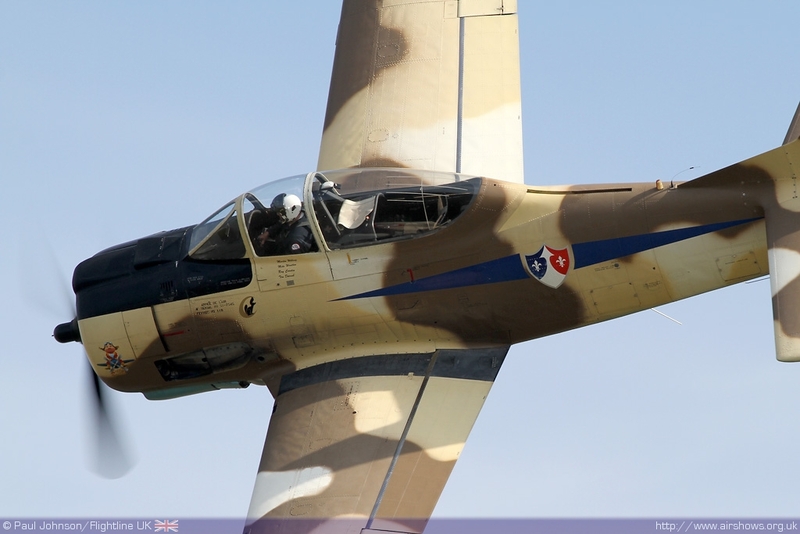 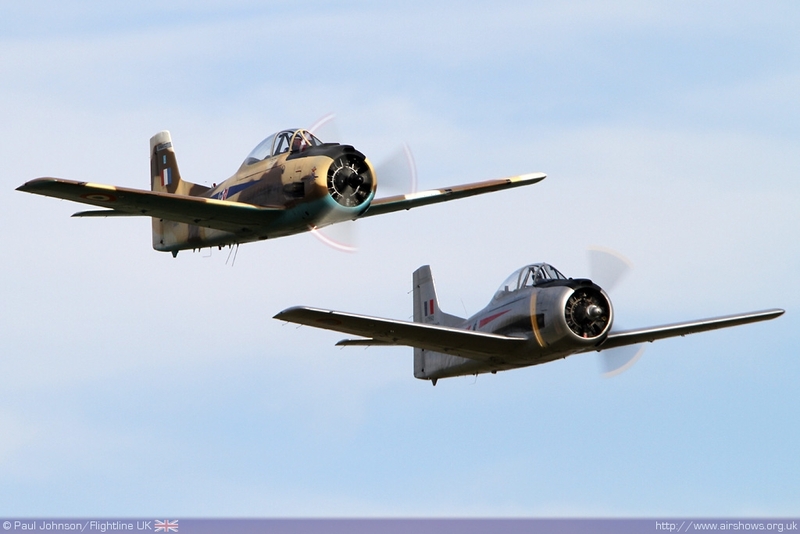 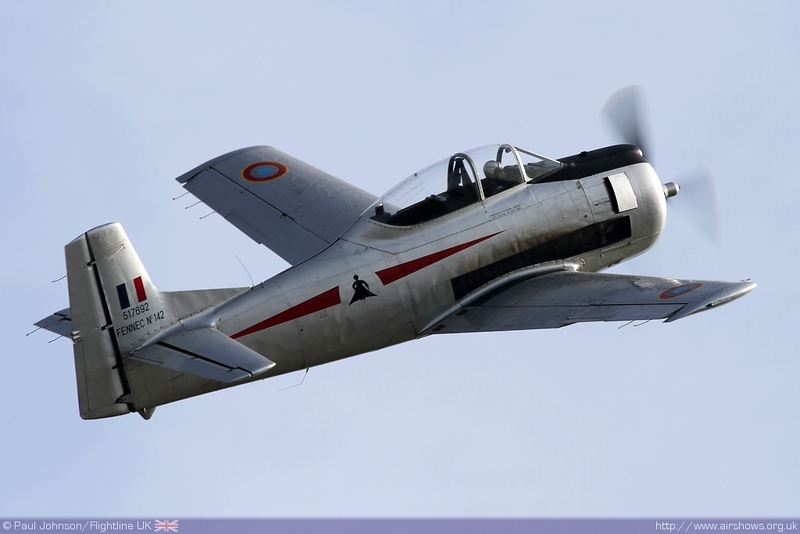 Further American piston came from the pair of North American T-28S Fennecs that reside with the Aircraft Restoration Company. 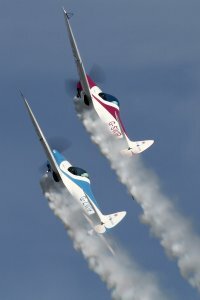 Both Ray Corstin and Dave Southwood gabe superb displays on both days in very different weather conditions - clear blue skies on Saturday and the clearing rain on the Sunday. 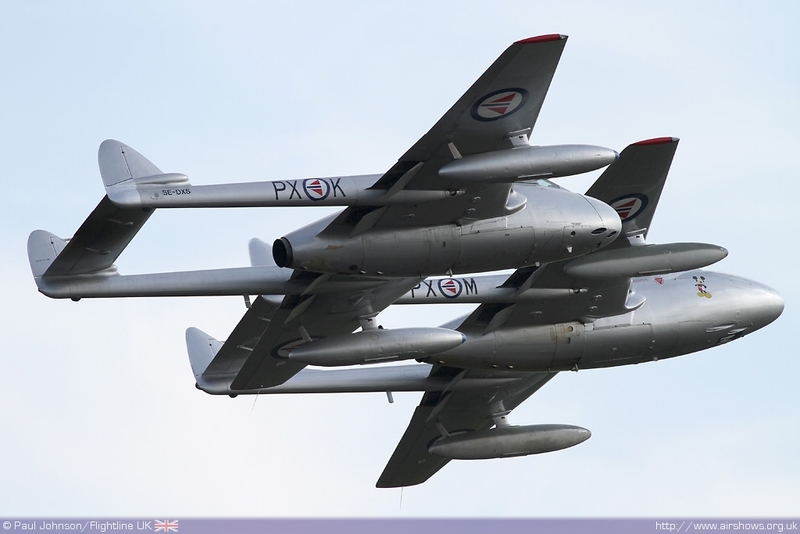 As well as all the piston power, it was good to see some visiting classic jets. 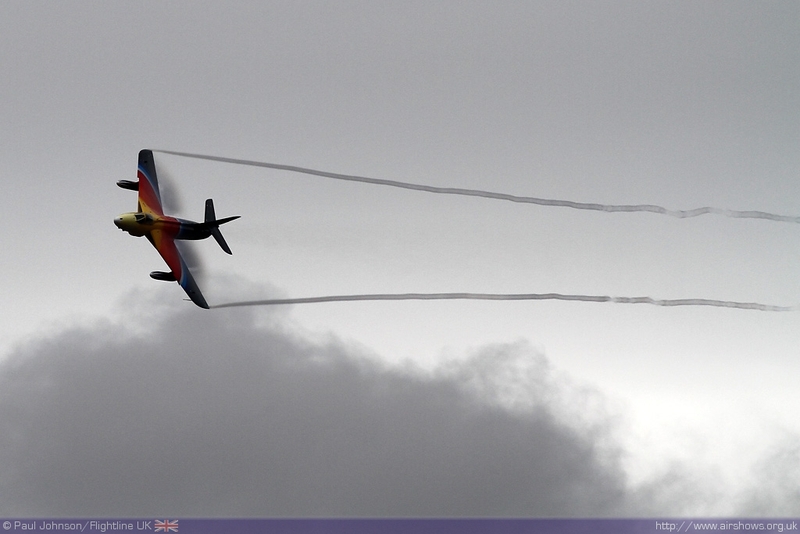 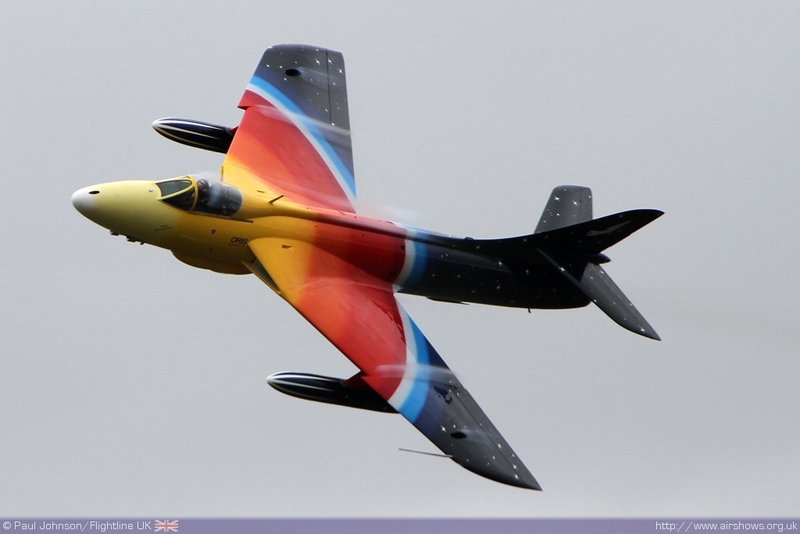 Sunday’s display saw Jonathon Whaley’s stunning Hawker Hunter F58 Miss Demeanour to mark the types own 60th Anniversary. 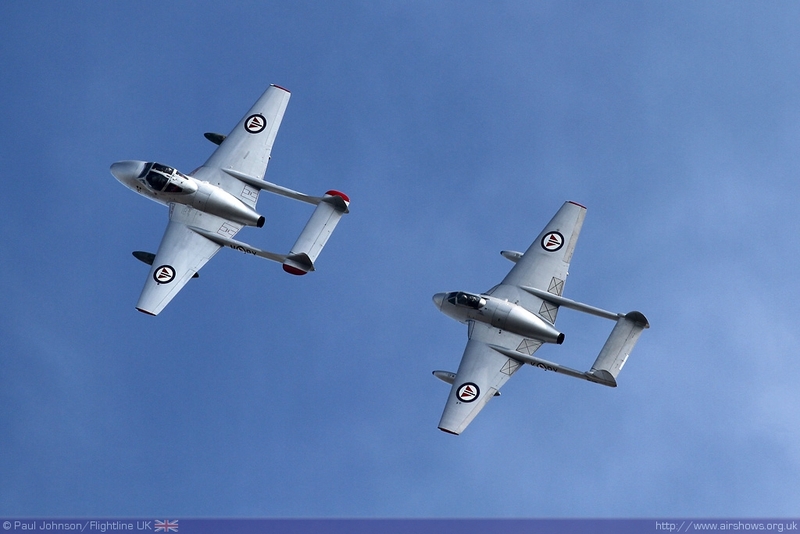 However perhaps one of the real delights of the weekend were the pair of De Havilland Vampires from the Royal Norwegian Air Force Historic Squadron. 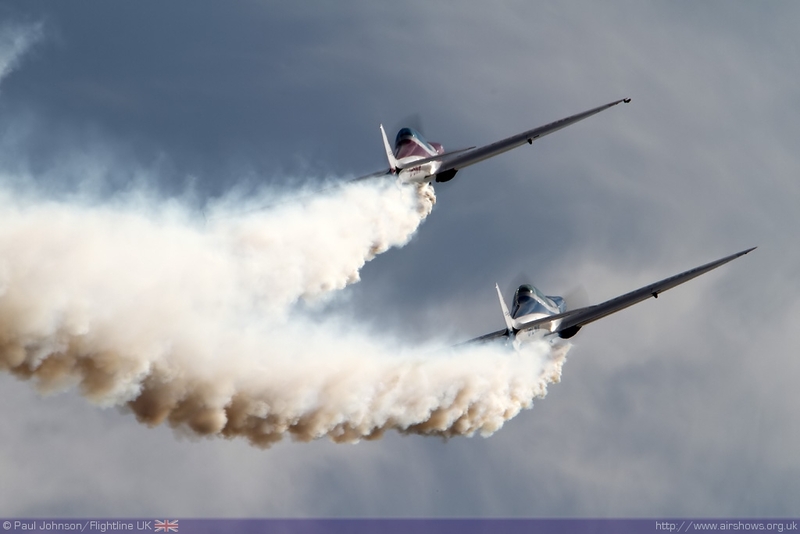 These wonderful aircraft made their debut as a duo in the UK at the RAF Waddington International Airshow in July but it was great to see them back again representing the Norwegian Squadrons that flew Spitfires. 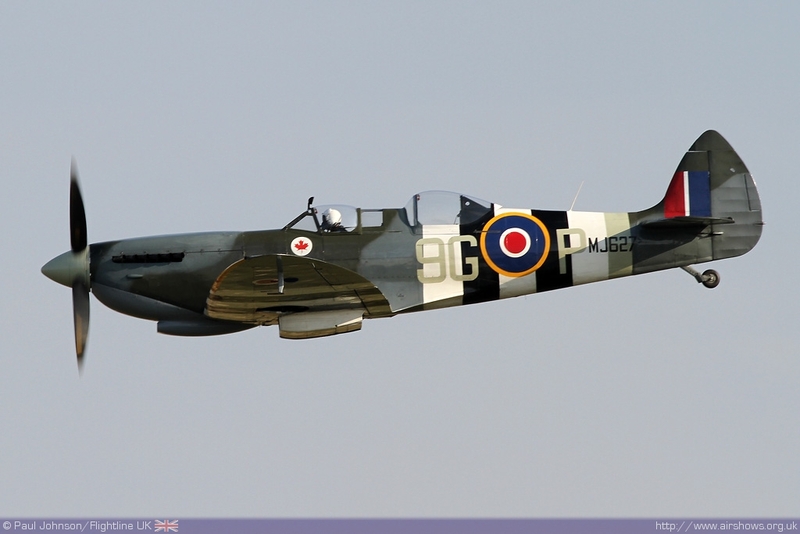 However it was the Spitfire that was the centre of attention for the flying displays. 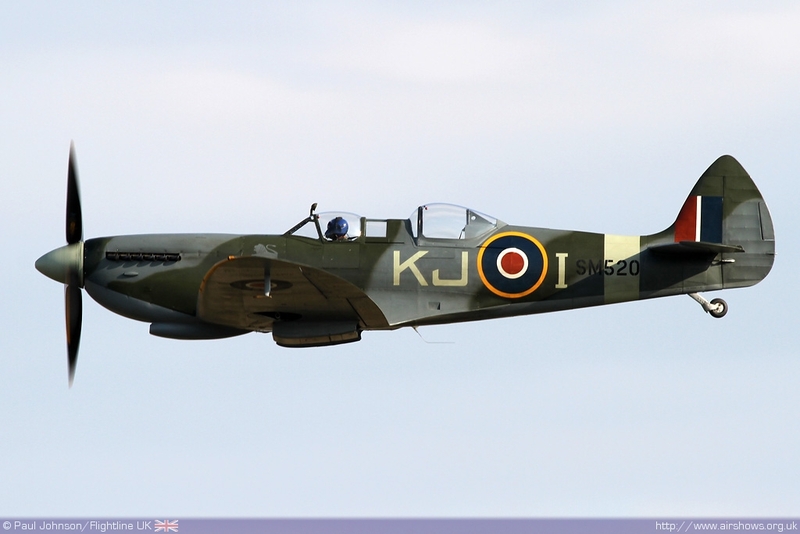 Saturday’s crowds were treated to a bonus display by Stu Goldspink in OFMC’s Spitfire IX MH434 which was away for much of the weekend supporting the Victory Show at Cosby with the P-51D Mustang Ferocious Frankie. 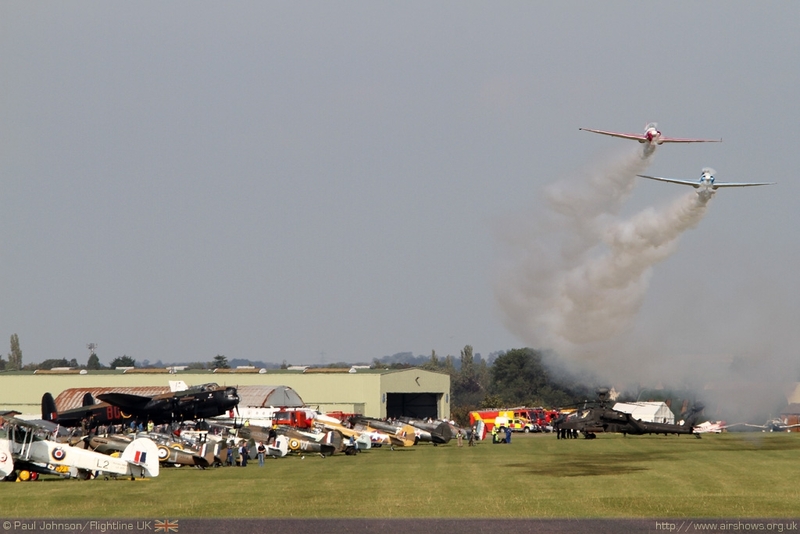 The finale to days flying however was pure Duxford magic. Coordinated by Brian Smith, the finale involved TFC’s Spitfire V and Spitfire XIV, HAC’s Spitfire V, ARCo’s Spitfire IXT, the Grace Spitfire IXT, Boultebee’s Spitfire IXT and Maurice Bayliss’ Spitfire IXT. 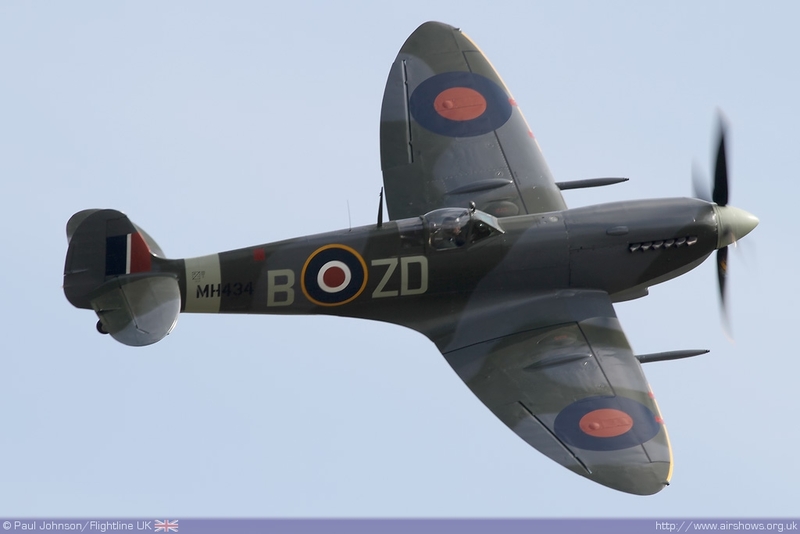 Following a number of formation passes the aircraft split into one of those wonder tailchases that saw five of the Spitfires wheel around the Cambridgeshire countryside while the pair of Spitfire Vs looped and rolled above. 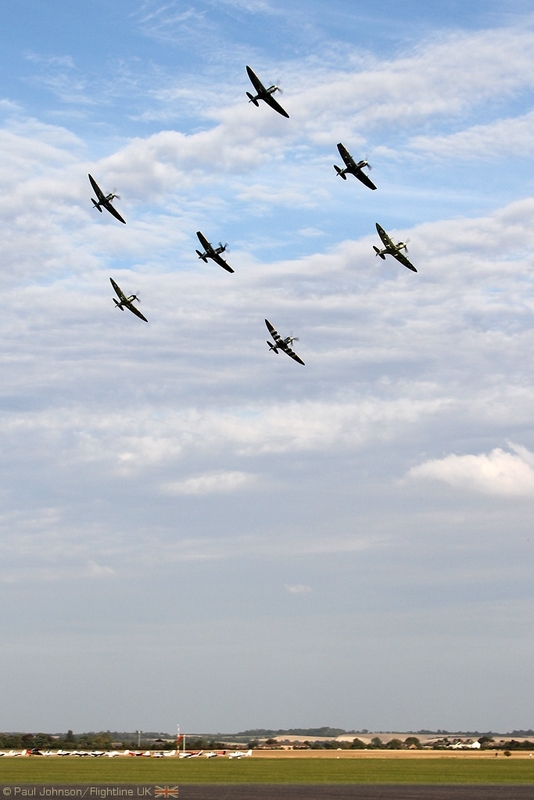 It may not have matched the Battle of Britain Airshow, but the combination of Duxford and massed Spitfires makes for a superb atmosphere. 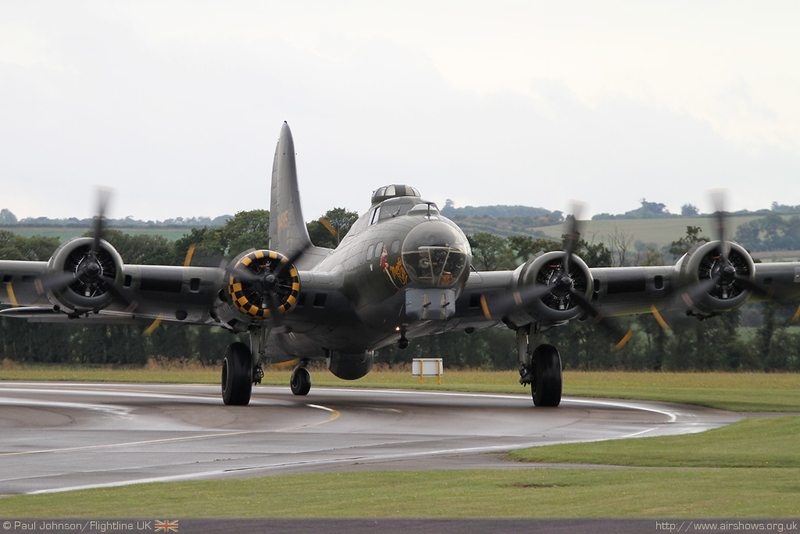 Combine this with some very unusual military visitors, warbirds and a colourful selection of civilian displays it was another very special Duxford airshow.